A few weeks ago I asked for topics you would like to see in my upcoming book. And here is one I thought would be helpful to answer here, before I roll it into my book. I am trying hard to figure out what makes an entire plein air painting look like it is bathed in the same light. Morning [and] sunset-paintings that so nicely convey that sense of light and time of day, I marvel at. It must be the typical bugaboos of value and chroma involved, and I'm finding I get the darkness of a passage confused with the chroma, like it should be dark and dull-colored, instead of dark and high-chroma. Judy, you are welcome. And thank you for framing such a great question. Unified light is something I will discuss in my book, but here a brief answer which may help right now. 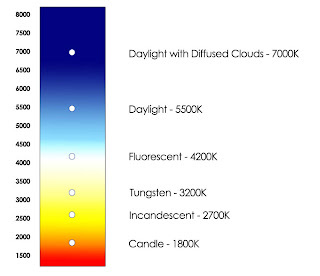 A single light source (natural or not) will illuminate what we see with a unified color temperature. Measurably, in the case of the sun on a clear morning, the light is normally pinker than it is later in the day. Fashion photographers who shoot outdoors tend to favor morning light because the temperature is so kind to the skin of a model. On a clear day, the light at noon reads at about 5500K, which is a bluer light. As the sun sets into the west – assuming nothing else is affecting the temperature of the light – the landscape will shift towards the red, and then the orange – that golden glow we love so much. That part is pretty straight-forward. But there is something else involved beside the external measurable temperature of the light. There is a color effect that occurs within our eyes and brain. For a perceptual painter, there are two kinds of color: color which can be measured with an instrument, and color as how we experience it. If a subject is illuminated by a warm light source the colors found in the shadows will appear cooler in comparison. This internal effect is related to the Law of Contrast of Color, as first explained by the 19th century French chemist Michel Eugene Chevreul. (To whom we owe the theories and art of the French Impressionists.) Outdoors, a cool dark can be accentuated by cool light bouncing in from the sky, but the shadows are not dependent upon it – the Law of Contrast of Color means the color receptors in your eyes are trying to balance out what is being perceived as warm with cool. Interestingly, the reverse hold true: If instead, the temperature of the primary light source is cool then the colors in the shadows will appear more warm. The inverse of what you just read. You can experience this effect yourself by going outside on an overcast day. If it is winter, don't peek out a window. Go outside and let your eyes adjust. Otherwise you won't see it. When we, as painters, disrupt this natural warm/cool division with a bad color mix we fail to convey the totality of the light. It is easy to disrupt this division because shadows are inherently more neutral than lights, and thus more easily mishandled. Of course, even when we succeed at organizing the temperatures in our paintings into warm and cool groups, expressing the light that bounces into the shadows remains essential to the total effect. Reflected light can make determining the primary warm and cool relationship more difficult, but when we paint from life we can see such things as exceptions to the larger rule. One of the best arguments I know against painting from a photograph is how it tends to homogenize subtle temperature shifts. This is why I prefer to paint from life. I've found that if I do then all I have to do is mix what I see and the light works out. These classes will focus on Essential Alla Prima Painting Techniques and the Direct Method of Oil Painting. 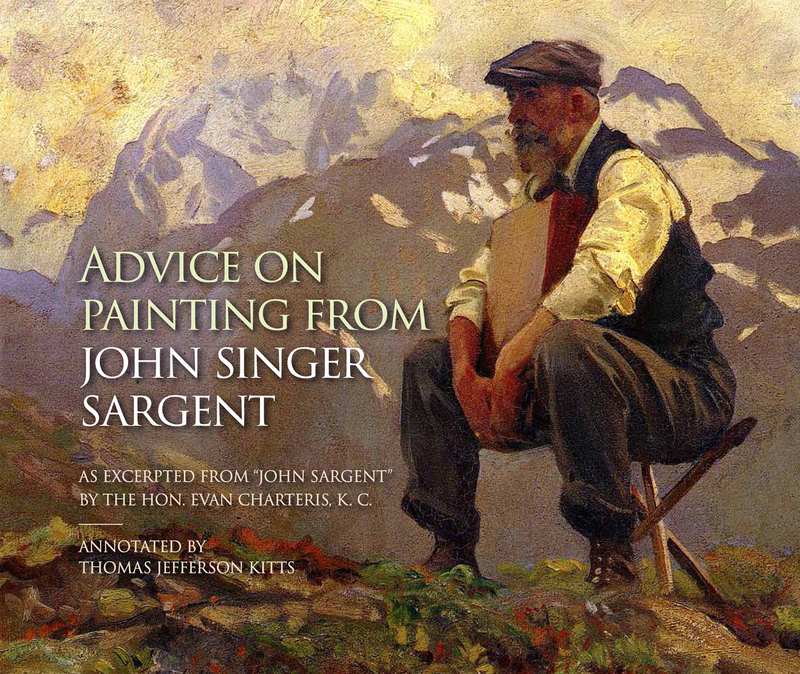 I have been asked to teach this spring in Carmel, California, at the Carmel Art Institute. 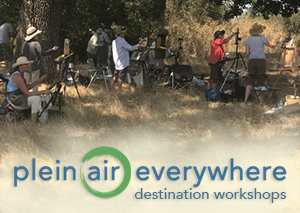 Before or after the 2nd Annual Plein Air Conference & Expo. Details will be announced as dates are set. Please email me if you are interested in signing up for a class. This was a wonderful explanation. Thank you!